It’s been a busy week but that doesn’t mean there hasn’t been a few hours to just sit down and read. I took some time yesterday to go through a set of reviews of the new Dell XPS 12 ‘flipper’ and have made some notes for you below. 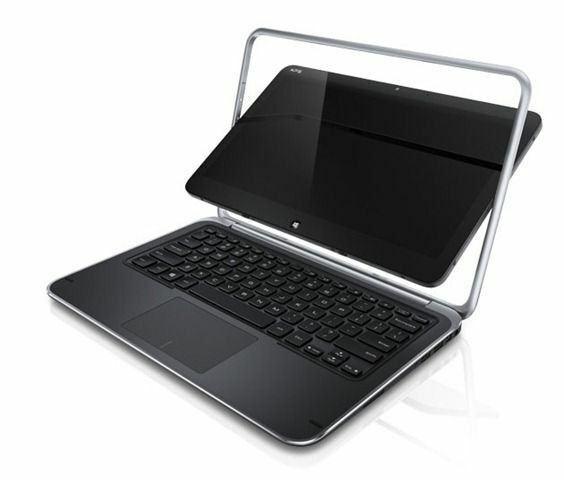 All review links have been added to the Dell XPS 12 information page. Overall the reviews are fairly positive about the build quality and everyone seems to be a little excited about the flip screen but there’s a feeling that the XPS 12 is more useful as a laptop rather than a tablet. I agree. My own hands-on confirmed that the weight and size (remember, the wider the tablet, the heavier it will feel at the wrist, the fulcrum of the weight) would be too much for many. As I said back in Sept, this is a device for those mainly wanting a laptop with touch and occasional tablet-style capabilities. 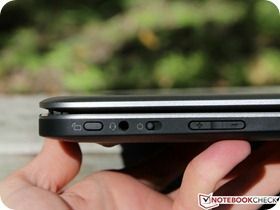 The keyboard gets good marks, SSD is very fast, battery life is average and…well take a look at the notes below and check out all the reviews. 400 Nit screen which is brighter than most. Gorilla Glass for screen protection. Good performance with SSD. 471MB/s max read performance. Laptop Battery Test (Web surfing via Wi-Fi on 40 percent brightness), the XPS 12’s 47wHr battery lasted 5 hours and 46 minutes. it’s largely unusable as a tablet. If you spot any good quality reviews, or have the XPS12 and want to write a paragraph or two here on Ultrabooknews, let us know in the comments below.